Identifying fake pearls can be an easy job or a very hard one, depending on the quality of the “fake”. And it is a fear that you have sometimes when buying precious and semi precious jewelry. It’s probably happened to you a dozen times already. You are on vacation visiting a new city or perhaps sipping a cocktail on the beach when a vendor appears insisting that he is selling genuine pearl necklaces or earrings. Truth be told, in 99% of these situations you are dealing with fake pearls. But what if you also encounter that incredibly rare 1%? To put your mind at ease and help you tell fake pearls from genuine ones, we have created this article. Read further to find out what to look for when assessing pearls. There is a common misconception that any non-wild pearl is a fake. This couldn’t be farther from the truth. No matter if you have a dozen pearl strands at home, you probably don’t have one featuring wild pearls because that belongs to a museum. Or high-end jewelry auctions. 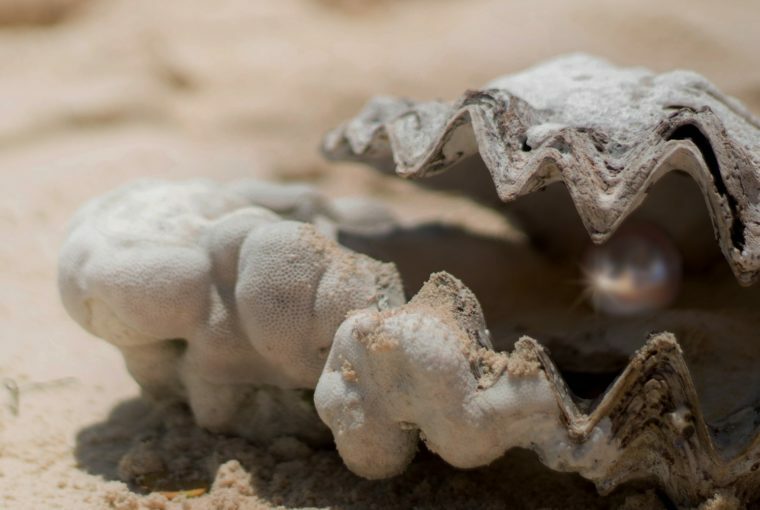 A wild pearl is something that fishermen may find by accident once in a lifetime. 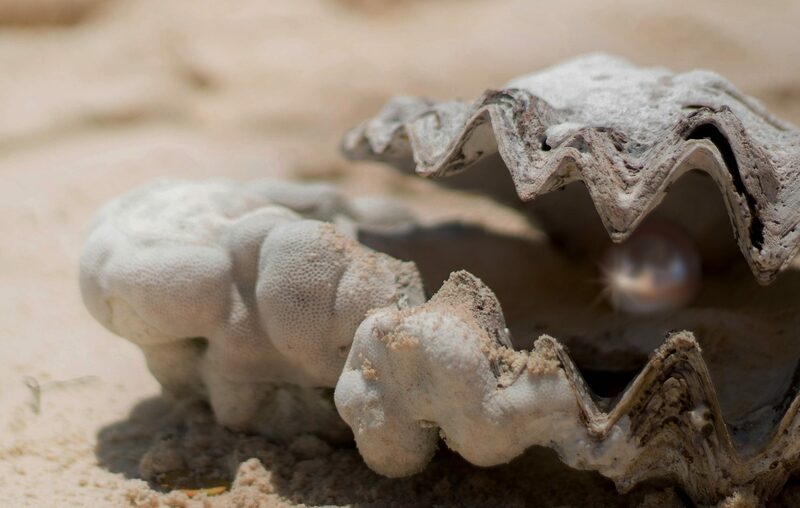 It is simply an oyster they fish among tens of thousands of oysters and that particular one has a good-grade pearl inside it. A cultured pearl is a real pearl that also comes from an oyster. The only difference is that nobody finds it by accident, they make it happen. How? By inserting an irritant (usually a piece of shell) inside the pearl to prompt it to secrete the substance pearls are made of. It is still a natural process and the result is still genuine. Fake pearls, on the other hand, have nothing to do with oysters or nature. They are simply made of glass, plastic or even cotton or shells. There are many tests you can do to identify fake pearls, but we are going to list the most reliable ones. Read further to discover how to tell fake pearls from real ones. A magnifying glass can be a wonderful little tool to keep with you at all times. Besides helping you assess the quality of a gemstone, it also helps you identify fake pearls. If the pearls you are looking at don’t have an irregular or rough surface under the magnifying glass, then they are fake. Real pearls seem smooth but under the magnifying glass, you can notice the irregularities. If we are talking about a pearl strand, take a good look at the drill holes. These should be very small and regular as the jewelry makers try to preserve the pearl as much as possible. Fake pearls, on the other hand, have rather large drill holes and, since the paint peels off, they appear to be irregular. Even though pearls come in many colors and shapes, a pearl’s color is never perfect. A simple white pearl will exhibit multiple tones under good light. It will never have the same color on its whole surface. If that is the case, then you are looking at fake pearls, not genuine ones. While this may not be the perfect fake pearls identifying test, it can offer you some important clues in regards to your pearls. Genuine pearls take longer to warm up if you keep them in your hands. But, of course, since “long” and “longer” are subjective terms, you cannot base your opinion only on this test. You can, however, compare the pearls you want to buy with the ones that you have and already know they are real. This will help make the warmth test more reliable. Fake pearls always have this perfect round shape because they are manufactured. Real pearls, on the other hand, aren’t usually perfect spheres as they go through a natural process. Oysters don’t use compasses when creating the pearls so it is very rare for a genuine pearl to be perfectly round. We think you will be able to tell apart fake pearls from genuine ones now. Just remember to take your time to assess a jewelry piece without feeling pressured. After all, it’s your money and if the vendor is claiming to sell you real pearls, you need to make sure the claim is true. Don’t let yourself be rushed into buying what later proves to be fake pearls. Carefully look at them and make a decision only after you are 100% sure you are buying genuine pearls. If you enjoyed reading this article and found it useful, please share it with your friends so they too can recognize real pearls. If you want to view Ana Luisa’s designer jewelry collections, visit our online jewelry shop now and discover amazing limited-edition creations.